Motus is a Johannesburg Stock Exchange (JSE) listed South African-based automotive holding company. Motus Holdings Limited was listed on the JSE in November 2018, following its unbundling from Imperial Holdings Limited. A three-year history of our results has been published in the prelisting statement and can be found on the website www.motuscorp.co.za. Our unique business model is fully integrated across the automotive value chain through four key business segments. Diversified (non-manufacturing) business in the automotive sector with a leading position in South Africa and selected international presence (primarily in the UK and Australia). 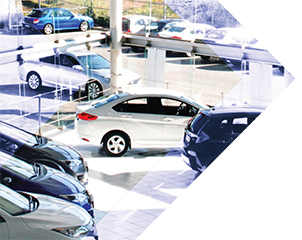 Fully integrated business model in South Africa across the vehicle value chain: Import and Distribution, Retail and Rental, Motor-Related Financial Services and Aftermarket Parts. Unrivalled scale in South Africa underpins a differentiated value proposition to OEMs, suppliers, customers and business partners, providing multiple customer touch points supporting customer loyalty through the entire vehicle ownership cycle. Profitability from high free cash flow generation underpinned by annuity income streams, with Return on Invested Capital (ROIC) exceeding Weighted Average Cost of Capital (WACC) and providing a platform for an attractive dividend yield. Defined organic growth trajectory through portfolio optimisation, continuous operational enhancements and innovation, with a selective acquisition growth strategy inside and outside South Africa leveraging best-in-class expertise. Highly experienced management team with deep industry knowledge of regional and global markets, and a proven track record with years of collective experience, including an independent and diversified board.